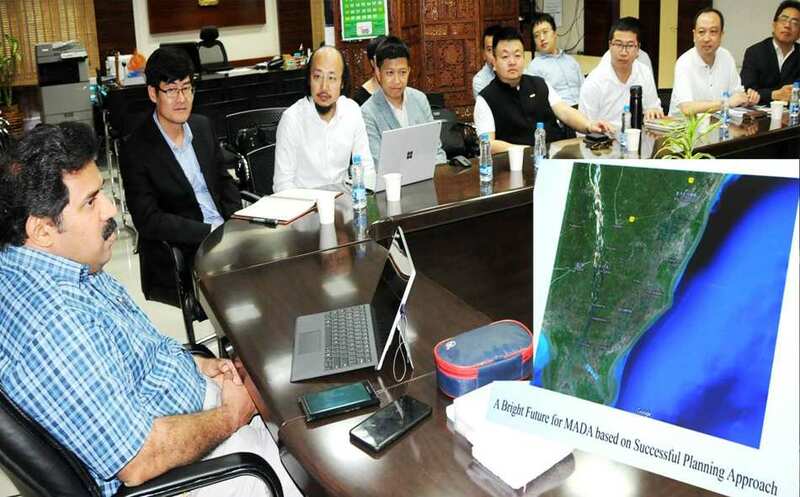 China-based Shenzhou City Institute is interested in taking part in the Machilipatnam Port development and construction activity which is planned by the Machilipantam Area Development Authority (MADA). A delegation of Shenzhou City Institute visited Machilipatnam and other places on Sunday and Monday and evinced interest to file tenders for the mega project. The delegation met Krishna district collector Babu Aat the collector's camp office in Vijayawada. The Collector has explained to the team about the objectives of MADA. He told them that there are plenty of opportunities in AP Capital City for development and investments. He informed that Krishna district has massive transport connectivity like road, rail, sea, aviation etc and it will be very useful to the Chinese companies. He said the proposed Machilipatnam port will be helpful not only to AP but also to Telangana state, mainly Hyderabad, he added. He said the four-lane National Highway between Machilipatnam and Vijayawada would be completed in a year.